On 18 October, NYU Florence’s La Pietra Dialogues will host Nicholas Boggs from the NYU Department of English. 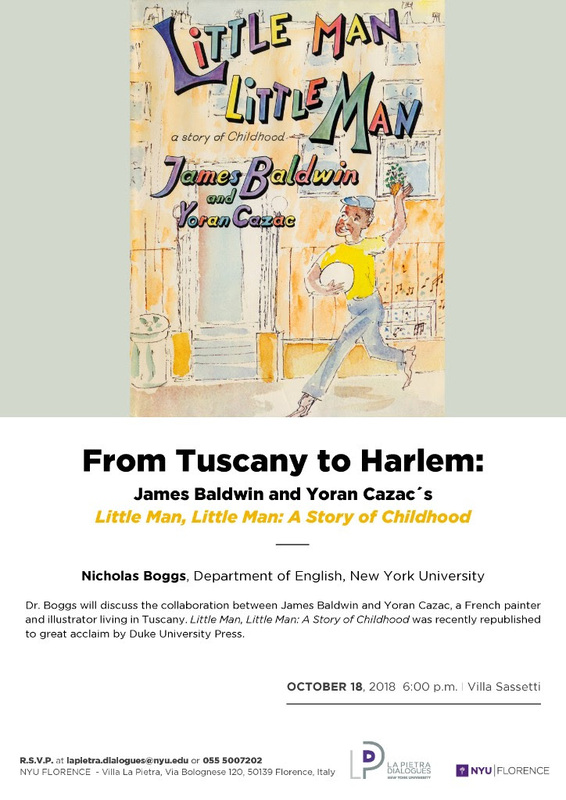 Dr. Boggs will discuss the collaboration between James Baldwin and Yoran Cazac, a French painter and illustrator living in Tuscany. 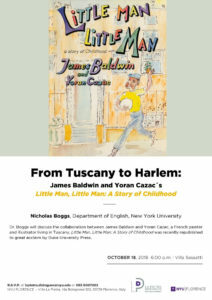 Little Man, Little Man: A Story of Childhood was recently republished to great acclaim by Duke University Press. ← NYU Prague Alumni – Where are They Now?